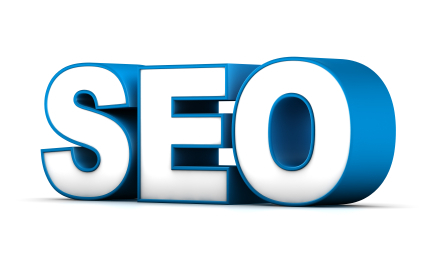 website Search Engine Optimization (SEO) has been a hot topic for as long as anyone can remember. By now, someone should have cracked the code. Someone should have come up with the magic formula. By now, climbing the search rankings should be a steady and predictable task. People and businesses - even large corporations - are still struggling to understand SEO and implement it into their websites. And despite all the technology and expertise, many SEO campaigns fall flat. There are certainly more technical ways of explaining this, but most people aren't interested in geeking out. They want results, plain and simple. They want to drive websites up in the search rankings. Not only that, they want results that build exponentially, without the need for constant intervention and expensive campaigns. We're not here to tell you about a magic formula, because no such thing exists. If it did, everybody would use it and search engines would simply change the way they work. What we can say is that old ways of thinking about SEO are no longer enough - and discussion forums are a good way to understand why. Everybody knows that in order to boost search rankings, you need keywords. You also need links, content and traffic. That way, when Google sends spiders and bots to crawl through your site, they discover all kinds of goodies that tell them your website is relevant. But SEO specialists (and the companies who hire them) are often too fixated on "what everybody knows." By obsessing over analytics and keyword charts, they aim to fool the system into "believing" their site is more relevant than the next - when in reality, it may not be. That's why Google is constantly changing the way it indexes information. It wants to produce results that actually are the most relevant - as opposed to results that have been carefully doctored to appear relevant. People who are looking for specific answers or information often find it within the pages of a community web forum - that's the bottom line, and that's why search engines love forums. But how do you start from zero? Can you simply start an online forum, sit back, and watch your page rankings skyrocket into the stratosphere? Of course not - but it's not as difficult as you think. First off, it's no longer necessary to handle the complex technical aspects of hosting a forum. In the past, you had to install and maintain complicated software on a host server. This involved updates and databases, and if something broke down, you had to fix it. Now you can "outsource" your forum to a dedicated forum hosting provider. The forum itself is owned and controlled by you, but the complicated technical side is handled by experts. Your platform stays updated, protected, and above all, functional. Some providers even give your forum natural SEO enhancements. The best part is that Google doesn't care whether your forum and the rest of your website are hosted in the same location. In other words, you can use a forum hosting service, attach the forum to your site, and Google will view the whole thing as one interlocking entity in terms of search ranking. Once your forum is live, you start by creating a number of useful topics. Maybe you visit other forums, share information, and post links to your forum. As users show up to share information with each other, Google begins to take notice. People are interacting with people - and that's powerful. What we're learning about SEO today is that connections between people - that is, the activity and interaction between members of online communities - are what really drive search rankings. You can tinker with your keyword structures and link databases all you want, and you'll probably achieve some measure of SEO success. But when you facilitate the sharing of information between people, in the form of posts, links, comments and other shared content, you set yourself a path to higher (and self-sustaining) levels of SEO success. You allow people to help each other, while generating an endless stream of content that cultivates visibility and relevance for your brand.